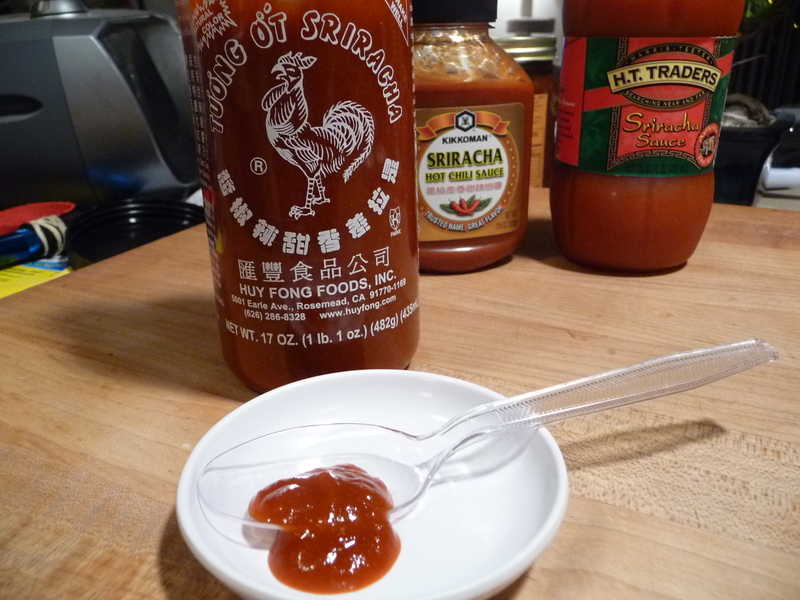 We love Sriracha sauce and love sharing with you our Sriracha sauce finds. This time we campare two more grocery store shelves’ versions of Sriracha sauces from Kikkoman and H.T. 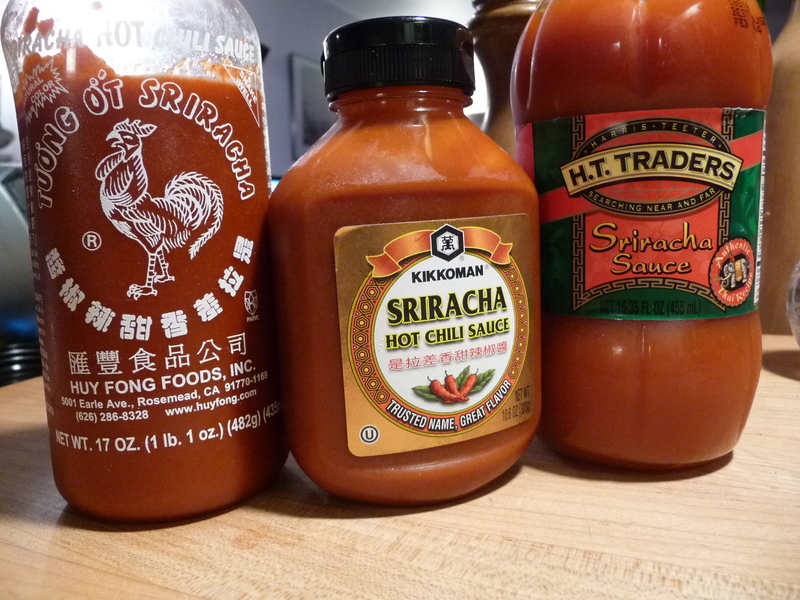 Trader (Harris Teeter), along with the venerable Huy Fong Tuong Ot Sriracha (Rooster Sauce). The latter is commonly called “Rooster Sauce” because of the rooster on the label.